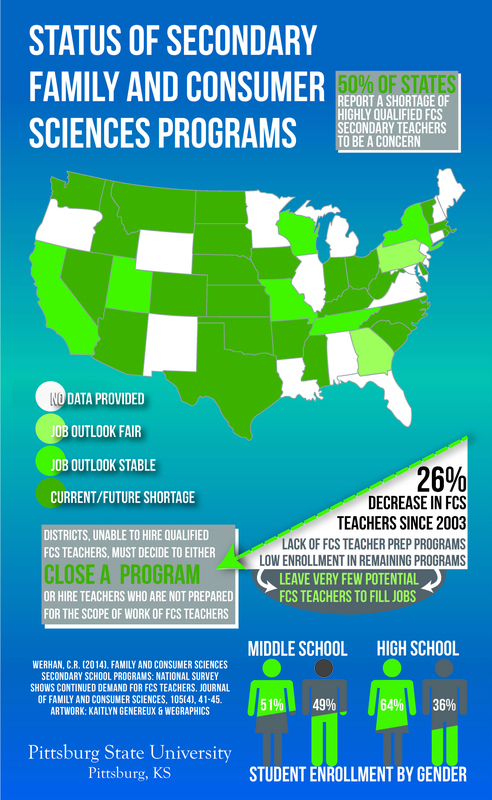 The purpose of this article is to present the current status of the FCS educator shortage and the “Say Yes to FCS” national initiative to recruit FCS educators. Emergent findings from the Say Yes initiative demonstrate a few important points: 1) comprehensive data collection at the state and federal level is needed, beginning with counting students and teachers; 2) there is a need to work across all practice settings and with all professionals, including secondary teachers, to address the shortage; 3) the shortage of post-secondary FCS teacher education programs and faculty likely contribute to a shortage of researchers dedicated to this issue; and 4) there is a need to garner support from content area researchers to document the impact FCS education has on individual, family, and community outcomes. Developing a strategic research collaborative across content and practice settings—an “all hands on deck” approach—has the potential to affirm the relevance of FCS education to the well-being of individuals, families, and communities, and it could also serve to strengthen the pipeline for future FCS educators and researchers, alike. Published in the January 2014 (Volume 105 Issue 4) of the Journal of Family & Consumer Sciences, the article provides an update to national statistics on FCS secondary school programs. Published in the January 2006 issue (Volume 98 Issue 1) of the Journal of Family & Consumer Sciences, this article provides national statistics on FCS secondary school programs.